Eccentric geniuses, men of violence and artist/performers with raging egos. Mothers who love fiercely and women who struggle to tame or embrace their wild sides. The 2015 Oscar nominations for acting highlight roles rooted firmly in the head and the heart. With the 87th Academy Awards just a little less than a week away (the ceremony airs Sunday on ABC), here are some educated guesses as to who will take home the gold. More importantly, who really deserves to? Look for another post about this year’s amazing crop of best picture nominees this week. There’s no suspense this year when it comes to the best actress category. Moore has already taken home the Golden Globe for drama and the Screen Actors Guild and British Academy of Film and Television awards, along with a slew of honors from critic’s groups. This also happens to be her fifth nomination, so the Academy owes her a win. Witherspoon is clearly gunning for a statuette to keep her first Oscar company. Her de-glammed portrait of soul-searching Pacific Crest Trail hiker Cheryl Strayed is raw with rage and despair. First-time nominees Felicity Jones, who plays the long-suffering spouse of physicist Stephen Hawking in “The Theory of Everything,” and Rosamund Pike, as a deceptively perfect wife in “Gone Girl,” will just have to wait another day for a chance at winning the little gold guy. I’ve never been a huge fan of Pike, but she surprised me with her weird, darkly hilarious transformation from prim, privileged housewife to off-her-rocker revenge seeker. 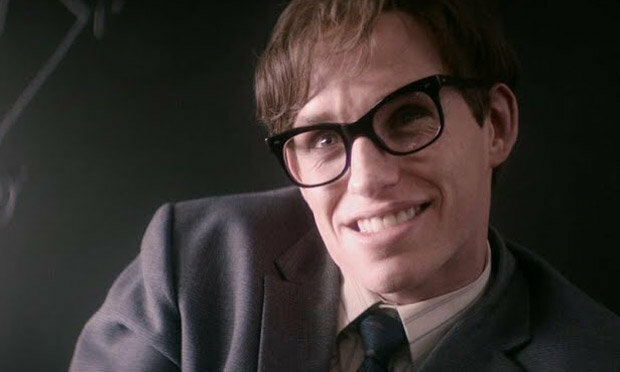 My vote, however, goes to Jones, who shares such lovely and painful moments of chemistry with co-star Eddie Redmayne in “The Theory of Everything.” Redmayne has been enjoying the lion’s share of the limelight, but his performance wouldn’t exist without Jones’ heartbreaking blend of strength and tenderness. Fortunately, the work of the five men nominated for the best actor Oscar is in no way diminished by the fact that Academy voters snubbed three of the most electrifying performances of 2015. Now that I’ve got that off my chest, on to the actors who were actually nominated. The Academy has long favored roles that take a physical as well as emotional toll, which is why Eddie Redmayne is likely to emerge victorious in the best actor race. To play Hawking in “The Theory of Everything,” Redmayne re-creates the celebrated physicist’s torturous decline, contorting his body and changing his speech patterns, all while capturing the wheel chair-bound scientist’s charm and sense of humor. For this remarkable feat, the actor has already captured the Golden Globe for drama and the SAG and BAFTA awards. On the off chance Redmayne doesn’t triumph, the gold will go to “Birdman” star Michael Keaton, awarded the Golden Globe for comedy in January and enjoying the sort of Hollywood career comeback Oscar voters can’t resist. In the most revealing and risky role he’s ever played, Keaton bares body and soul — not to mention a balding skull and wrinkled mug — as an aging, insecure actor searching for redemption in a doomed Broadway play. Ironically, it’s the most talked about performance in the category that may have the least chance of victory. Bradley Cooper’s portrayal of Navy Seal Chris Kyle in “American Sniper” is so mired in controversy, it would be a shock if the Academy deigned to touch it with a 10 foot pole. The actor has been on an upward trajectory since 2012’s “Silver Linings Playbook,” which landed him a first Oscar nomination, followed by another for “American Hustle.” In “Sniper,” he takes a man whose image has been appropriated by a dizzying array of political persuasions and makes him, simply, human. In his hands, Kyle is admirable and tragic, a man of conviction whose beliefs don’t spare him from paying the devastating price of war. The supporting categories only further reinforce the fact that there just isn’t a lot of mystery when it comes to the acting nominees this year. Arquette waltzed away with the Golden Globe, SAG and BAFTA awards and just about every other critic’s honor, which virtually guarantees she’ll go home with the gold on Sunday. Two-time nominee Laura Dern played a similar role in “Wild” — a free-spirited single mother who receives a crushing diagnosis just as she’s beginning to discover herself. I love her graceful portrayal — glimpsed in brief snippets in flashback — of a vivacious, nurturing woman who bravely confronts whatever life throws at her. I also love Emma Stone in the part of Michael Keaton’s defensive recovering addict daughter in “Birdman.” Director Alejandro Gonzalez Inarritu shoots her as if she is the most wide-eyed of damaged dolls, capturing her searing performance in extreme close-up. In a year without “Boyhood,” the most towering presence in this category could have been Meryl Streep, racking up her 19th Oscar nomination as the witch in “Into the Woods.” But even her haunting rendition of the song “Stay With Me” — Is there anything Meryl can’t do? — won’t secure her a fourth win. There’s something so powerful about the way Arquette allows herself to age on camera in “Boyhood” over a period of 12 years and how unaffected she is as Ellar Coltrane’s no-nonsense, painfully honest mama. The performance is a brave accomplishment for an actress in a Hollywood that mercilessly judges its female stars. Another category, another case in which there’s no contest. 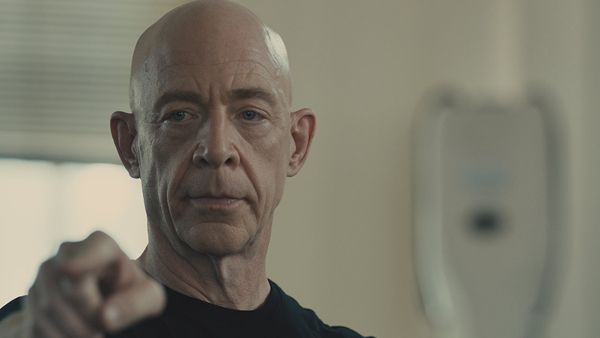 Seasoned character actor J.K. Simmons, known for his jollier appearances in the “Spider-Man” films and “Thank You for Smoking,” took a startling trip to the dark side in “Whiplash” as a sadistic music instructor who drives aspiring drummer Miles Teller to the brink of a psychological meltdown. Simmons has always been an excellent, woefully underrated artist, but it’s impossible to ignore the electrifying mind games he plays with his co-star and the movie’s audience, which is why he earlier took home the Golden Globe, SAG and BAFTA awards. I have to agree with the voting members of these organizations. Watching “Whiplash,” I was terrified, I was mesmerized, I was totally stressed out by Simmons’ off-tempo tyrannical tantrums. And did I mention this is also a surprisingly funny performance? Nobody deserves the gold more. If anyone else could wrest the trophy from Simmons, it’s Ethan Hawke, who has earned more writing nominations than acting nods when it comes to Oscar. After settling into less-than-challenging roles as a horror movie star, Hawke shakes things up with a beautiful, easygoing, poignant turn as a flawed father determined to redeem himself in “Boyhood.” Like Norton, the actor seems to have rediscovered himself. This entry was posted in Uncategorized and tagged Academy Awards, best actor, best actress, best supporting actor, best supporting actress, Birdman, Boyhood, Eddie Redmayne, Golden Globes, JK Simmons, Julianne Moore, Oscars, Patricia Arquette, Screen Actors Guild on February 16, 2015 by Lavender Vroman.